Those who live in hillside homes are well aware of the hazards they live with on a daily basis when the rain begins to fall. Every year stories of mudslides make the news and include news reporters speaking with those who have just lost their homes. 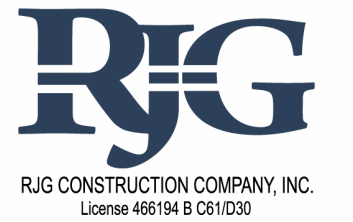 RJG Construction Company, Inc. has been a first responder in these situations since 1965. From the initial temporary emergency protection services to the design and reconstruction of failed slopes, RJG will restore your property in a well coordinated, efficient, and timely manner. No matter what type of repair method your engineer consultants recommend, RJG has the knowledge, background, equipment, and trained personnel to implement. 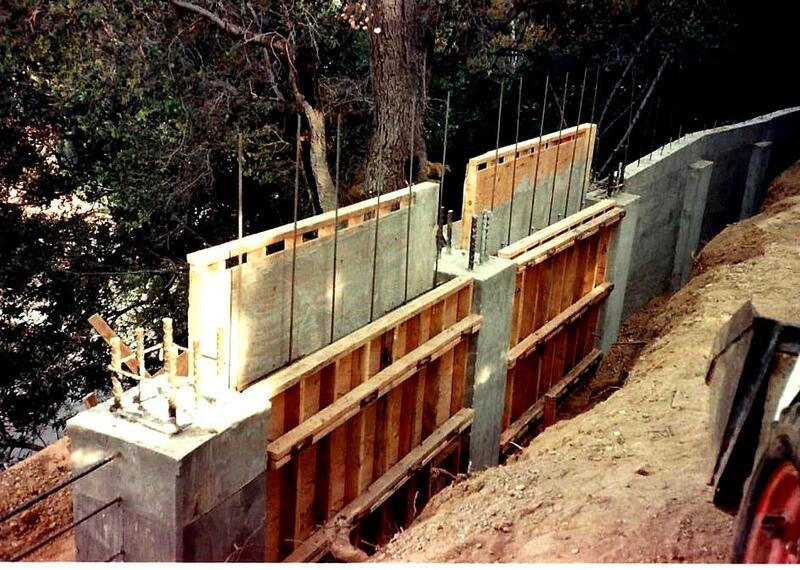 From retaining walls, to caisson grade beam systems, tiebacks, to soil nails, we are here to service your needs. 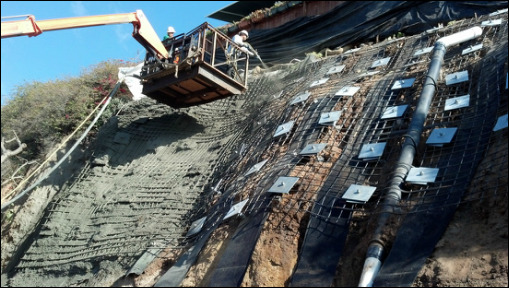 Soil screw nailing is similar to conventional drilled and grouted soil nails, in that they create a gravity soil mass as a method of slope stabilization. The process of soil nailing uses steel helical anchors constructed with helical plates spaced along a central shaft from beginning to end. A typical soil nail slope process would be to install the helical screws on approximately a 5ft center-to-center grid pattern with all screws penetrating to the same length. A typical soil nail length would generally be 75% to 100% as long as the wall is tall. 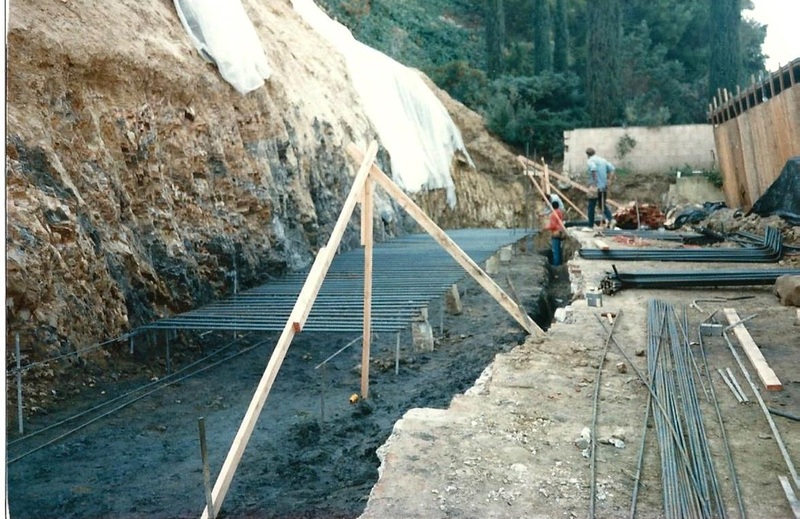 Once the helical screws are installed the slope is now stabilized, at which time you have the option of installing steel and shotcrete, or simply weld wire mesh, chain link fence, geofabric, etc.. Slope stabilization using the soil screw nailing process requires no additional shoring materials other than the soil screws themselves, has lower load requirements than tieback or anchoring systems, and can reduce time and expenses over pile systems. It is very important, however to understand the limitations of soil nailing, which we at RJG can properly assess. Soil nails can be used to repair existing wall systems, new construction, as well as temporary structures. 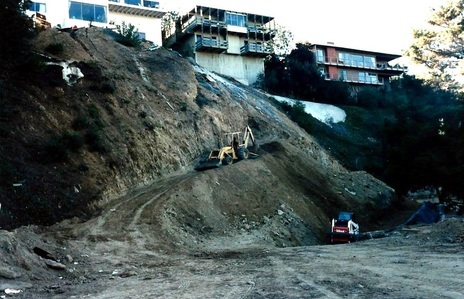 Often times geotechnical engineers will not require the construction of retaining walls, etc.. in order to reconstruct or stabilize an existing slope. 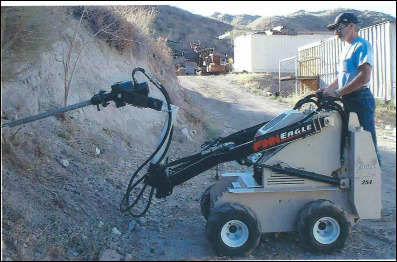 One method an engineer utilizes is a simple cut bench and recompaction of the slope. This method of repair typically entails the excavation and re-compaction of a "keyway" at the base of the slope and the subsequent cutting of benches into the slope, installation of gravel slope drains, and re-compaction of the soil until benches have been cut and re-compacted to bottom to top of slope. This method generally requires the installation of netting and city approved drought resistant ground cover, shrubs, deep rooting trees, and ultra violet resistant surface mounted sprinkler systems equipped with oscillating sprinkler heads. Steel reinforcing and forms in place prior to pouring concrete. 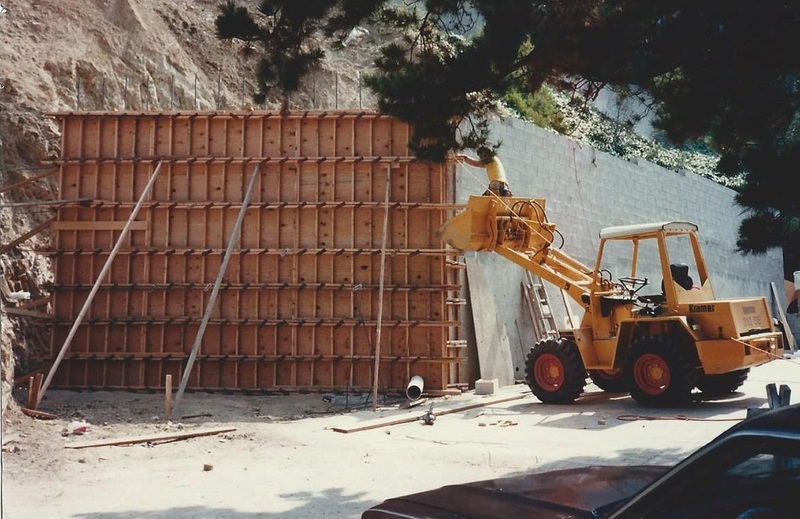 Engineers have many methods of designing retaining wall systems which they recommend on a site specific basis. 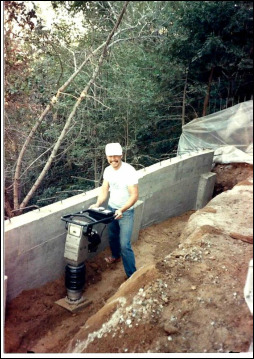 RJG's crews are knowledgeable in construction of all retaining wall systems. 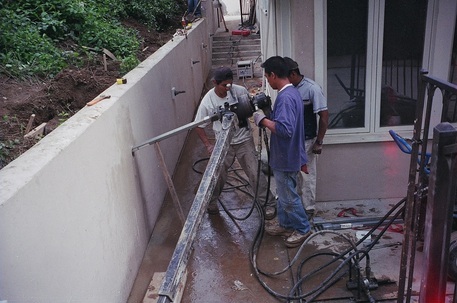 Whether it be concrete cast in place, concrete masonry unit (CMU) or shotcrete, RJG can complete your repair in a timely and efficient manner. Since 1965, no one does it better.